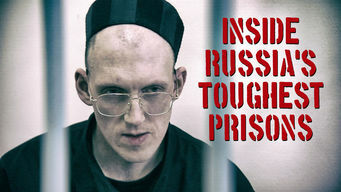 How to watch Inside Russia's Toughest Prisons (2011) on Netflix Japan! Sorry, Inside Russia's Toughest Prisons is not available on Japanese Netflix, but you can unlock it right now in Japan and start watching! With a few simple steps you can change your Netflix region to a country like Australia and start watching Australian Netflix, which includes Inside Russia's Toughest Prisons. We'll keep checking Netflix Japan for Inside Russia's Toughest Prisons, and this page will be updated with any changes. Inside Russia's Toughest Prisons is not available in Japan BUT it can be unlocked and viewed! Three Russian prisons unlock their doors to an international film crew and reveal what life inside is like for the nation's most brutal criminals. Terrorists. Rapists. Cannibals. Take a peek inside the locked-up lives of some seriously scary convicts. There is a way to watch Inside Russia's Toughest Prisons in Japan, even though it isn't currently available on Netflix locally. What you need is a system that lets you change your Netflix country. With a few simple steps you can be watching Inside Russia's Toughest Prisons and thousands of other titles! Watch "Inside Russia's Toughest Prisons"
Want to learn how to get American Netflix in Japan?